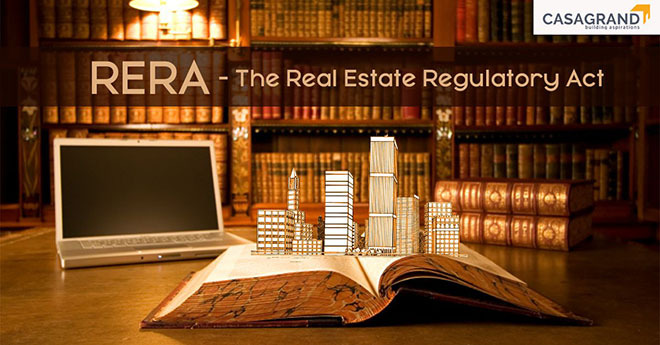 The Real Estate Regulatory Bill will pave the way to transparency in Indian real estate market. It is a very encouraging move that will reform the sector in a revolutionary way through measures that only the Bill has the power to enforce. The sector will be more transparent and organised one and the bill guarantees that. The Rajya Sabha passed the Real Estate Regulator Bill, which will help regulate the sector and bring in clarity for both buyers and developers. The Real Estate (Regulation and Development) Act, 2016 is an Act of the Parliament of India which seeks to protect home buyers as well as help promote investments in the real estate industry. The bill was passed by the Rajya Sabha on 10 March 2016 and by the Lok Sabha on 15 March 2016. The Act came into force on 1 May 2016 with 69 of 92 sections notified. The new rules are applicable to residential and commercial developments. Developers will now have to do is park 70 per cent of the amount collected from buyers for a given project, in a separate bank account. The government is ensuring that they do not fall short of funds and therefore, can timely deliver projects to customers. Promote good governance in the sector which in turn would create investor confidence. Transparency of information to buyers: Builder needs to issue an allotment letter to the buyer at the time of booking, like sanctioned plans, layout plans and specifications approved by the authorities. The promoter also needs to include details like time schedule of completion, and water, sanitation and electricity provisions. Builder Registration: It is now compulsory for every builder to register projects with the housing regulatory body, including details like plans, approvals and other credentials. Compensation for delayed delivery: To counter the norm of delayed delivery, the promoter is now liable to return the total amount with interest at such rate as mentioned in the agreement to sell if he fails to give property possession within the agreed time period. Construction Quality: RERA provides protection against any structural defects up to 5 years that might be found after possession. The promoter is bound to rectify found defects within 30 days, free of charge. Discrimination prohibited: No buyer can be rejected on the basis of caste, gender or religion. This will prevent the practice of building homes only for particular groups while rejecting others. With a plethora of benefits for first time home buyers, the RERA bill is a game changer in the real estate sector. If you are planning to invest in a new home, make sure you go through our definitive guide to making sure the property you buy is legally clear and various gruhapravesam tips for your new home. Head out to Casagrand today to find a house you can call home.